August 2017 – Julie Froberg Rose in L.O.V.E. August 21, 2012 marks a very special day for the earth! She is being separated from the Sun for several minutes. You may think this is a mini-event in the scheme of things, but you would be incorrect. Mercury Retrograde begins on Saturday, August 12th until September 4th. 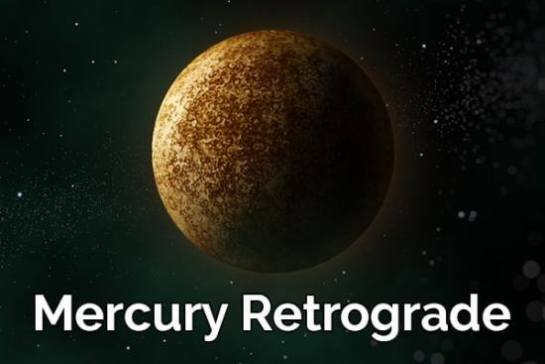 In addition to Mercury, 4 other Planets are also in Retrograde. They are Saturn, Uranus, and Neptune. This combination of retrograde energy is going to slow life to a halt. Patience is definitely needed over the coming weeks. What Do These Retrogrades Mean? When Neptune goes retrograde. Our ability to see the truth is in question. Embrace situations that show your creative and business collaborators’ true colors, and resolve to accept what you see. Things that are hidden will be revealed. Black Moon is a term for the second new moon within a calendar month. Black moons occur about every 29 months. The next black moon will take place on August 21, 2017 in conjunction with the Great American Eclipse. According to Mind, Body, Green, your emotions are amplified during the new moon period, so it is important to focus on being calm so that negative emotions are not magnified. In today’s high paced environment, advice to stay calm may seem redundant. We’ve heard the mantras to do yoga, meditate, walk in nature, etc. These are all helpful, but we can get caught up in day to day life and forget to set aside time for those activities. Ideally, we should always nurture ourselves and strive for serenity, whether there is a new moon or not. Besides the obvious stress relievers, think about your health. Do we really feel calm and centered when we have headaches, digestive issues or overindulge in food and alcohol? Some of us may have the fortitude to feel relaxed when our bodies are under stress, but I think we can concur we feel best mentally when our physical bodies are free of pain. A highly recommended documentary is: What the Health? It gives ground breaking nutritional advice to feel better. There is also cutting edge research on Acemannan, a component of the aloe vera plant that helps the body restore gut health. Now that we are aware of the upcoming black moon on August 17, 2017 and have ideas to prepare for it, the question remains as to why we should be in tune for the Black moon or any new moon. I do not claim expertise in planetary studies, but as a student, I like to share what I have learned. The first new moon in the calendar month preceding the black moon occurred on July 23, 2017. During this time, we should “lay low,” reflect and not start anything big. It’s an especially good time to pray, meditate, nap and avoid anything that will clutter our brains. This is a preparation for the exciting changes that could happen in our lives for the period starting with the black moon and into the next two and a half years. If you have not made a dream/vision board, do so now. Make sure your dreams are followed by an action plan. No goal is achieved just by wishing for it. Jack Canfield is an expert with great ideas on how to make the most of your dreams. No dream is too big! Do not let limiting thoughts hold you back. If you truly believe, you can achieve!